Noname is the recording project of Chicago-born, Los-Angeles based artist Fatimah Warner, and Room 25 arrives as one of the most anticipated debut LPs of the year. 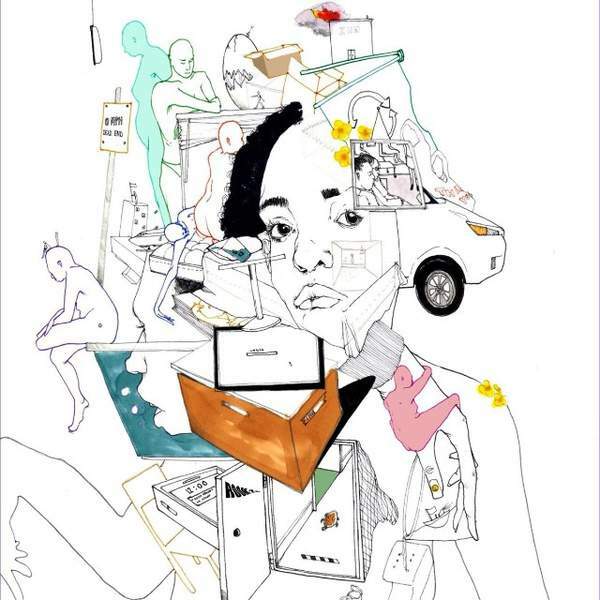 Her previous mixtape Telefone quickly became a benchmark in hip hop, showcasing Noname's singular skill as a wordsmith and storyteller. Room 25 opens its doors to reveal more of the celebrated artist's exceptional craft. These songs are reflective and revelatory around questions of mortality and identity, politics and philosophy. Some verses are playful, tracing the comedic lines of our lives, others are poignant and profoundly moving in their chronicles of daily life. Collaborations on the album include Ravyn Lenae, Saba and Yaw, and producer Phoelix supplies a superb blend of hip hop, soul, jazz and funk throughout the record. For the chance to win a copy of this week's Album Of The Week, Triple R subscribers can email us before Sun, 24th Sept 2018 at albumoftheweek@rrr.org.au with their full name and subscriber number in the subject line. We have a prize policy of 1 CD per subscriber per month so we can share the love and make it fair for all!